Fixed loans Vs Variable loans, here's what you need to know! Fixed loans Vs Variable loans, get to know the difference! While there is no way to predict what will happen to the economy and interest rates in the future. Knowing the differences in fixed loans or variable loans rates can give you an insight to better decide if you should fix your home loan or leave it as a variable rate. A fixed loans interest rate is a loan where the interest rate doesn’t fluctuate during the fixed period of the loan. This allows the borrower to predict their future repayments. A variable loans rate is a loan in which the interest rate is charged on the outstanding balance. This varies as the market interest rates change, resulting in your payments varying. Variable home loan interest rates change with the fluctuation in the Reserve Bank’s cash rate. Variable loans rates can change due to inflation and the RBA (Reserve Bank Australia) uses the cash rate to control the economy. They will generally increase the cash rate when the economy is doing well and in turn when the economy is weakening the cash rate will often come down. Where can I find the best fixed rate home loans? There are many home loans and packages available through many companies and there really isn’t one best home loan for anyone as we all have different needs and wants. So you need to find the best fixed rate home loan that works for you. To do this you can go to one of the many home loan comparison sites and see what the banks are offering. Or you can consult a mortgage broker who can organise and search on your behalf to find the best interest rate and home loan. 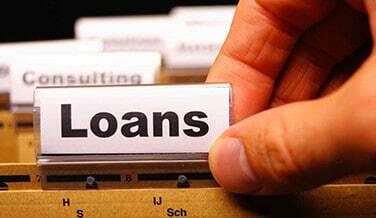 How do I find the lowest fixed loans interest rate home loan? There are a few way’s you can find the lowest fixed rate home loan, you can search fixed rates and find a sight that gives you comparison rates between all the lenders. Or you can get advice from a Mortgage Broker who can inform you of the best rate and deal being offered by the lender of your choice. Be aware that although you won’t be charged a fee from the Mortgage Broker and the lenders pay them to refer your business. It is more often than not, rolled into the Home loan which is not necessarily a bad thing. However make sure your Mortgage Broker is working for you and ask questions and have them explain anything you don’t understand in detail to get the best deal you can! What are the benefits from having a 5 year fixed home loan rates? There are many benefits from having a 5 year fixed loans home loan. One of the major benefits being that when interest rates are fluctuating your home loan repayments will remain the same. This is a major advantage because you won’t be forced to pay higher mortgage repayments because the interest rate has increased. Check out the table below for a full Pro/Con list on fixing your interest rate. A redraw facility may not be offered on fixed rate home loans. What is the difference between a fixed loans and a variable loans rate? The difference between fixed loans rate and a variable loans rate is whether your interest rate fluctuates up and down through the term of the loan. Variable rate home loans will move with changes to market interest rates. Interest rate can rise or fall over the term of your loan. More features eg unlimited redraws or saving on interest with offset accounts. Easier to switch loans. Mortgage stress, if you aren’t prepared for a rate rise you may have trouble keeping up with repayments. In conclusion there is no sure way to pick whether you should choose a fixed loans or variable loans however you need to weigh up the pro’s and con’s of your situation and decide what best suits your situation. With a home loan if you are intending on staying in your home for an extended period of time and can’t see why that would change and fixed loans interest rates are at a good rate then it would make sense to fix your loan. However if you are not sure what your future holds and you may want to sell or change your loan in the foreseeable future then maybe a variable rate is for you! Fixed loans Vs Variable loans, get to know the difference! Overall rating: 4.8 out of 5 based on 60 reviews.